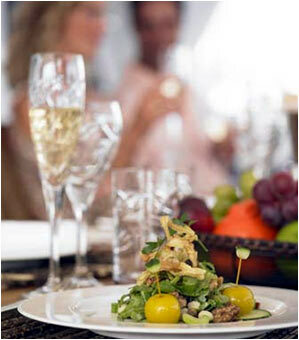 The food you can expect aboard your yacht will be of the highest standard. You will be delighted with delicious gourmet cuisine from every corner of the globe designed with your preferences in mind. Special diets and children are always catered for. Sun and sailing, makes for hearty appetites. So in addition to several meals there are always plentiful amounts of fresh fruit and snacks onboard. There will be a varied ships bar, and excellent wine pairings for each meal. Vintage wines and champagnes can be ordered for you, and be on board when you arrive. Enjoy a cocktail at sunset, aboard your yacht, or with your feet in the sand, gaze at the stars and dine on delectable tropical cuisine.